Neurologist V.S. Ramachandran does a great job explaining the mysteries of neuroscience to the general public. He's the author of A Brief Tour of Human Consciousness. 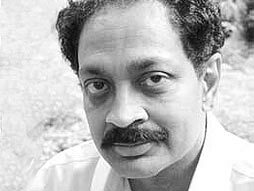 Mr Ramachandran's physiognomy greatly resembles Cheech Marin's --another explorer involved with journeys of the mind. In Cheech's case, it's trying to locate his, wherever he left it. It's very rare for a bunch of scientists to suddenly break into applause during a scientific talk. But, it happens during Dr. Ramachandran's video talk. It was a sudden blazing light shining on a puzzling bit of human behavior that hits the audience all at once. I din't think he smacked Freud that hard - more used him as a foil than anything else. The bit on the phantom limb pain cure was fascinating. One might wonder how much of this work is seeping into marketing and the creation of comforting illusion. With the phantom limb cure "reality" (the pain) was overcome by illusion. Or was it the other way 'round? "you're not feeling that limb --you just THINK you are". as in "the social construction of reality"
is just another term for "social engineering"??? if the former is bottom-up and the latter is top-down, then it's all the difference in the world. I thought he looks more like Raul Julia - although the Scottish accent kinda doesn't fit. What a talented speaker -very impressive. I am not like the other gurus from my country. I say the brain is simply a biological electrochemical mechanism and not a metaphysical love energy transceiver. why not both --a pencil is a piece of wood and graphite as well as a writing instrument as well a symbol of civilization as well as something you can buy for a few cents and use to scratch your back.